Heritage has unveiled a special run of four Masterbuilt custom shop guitars: the H-137, H-150, H155M, and Custom Eagle Classic. Overseen by the Heritage master builder Pete Farmer, these guitars have been built with special attention to detail. This guitar features a solid, one-piece genuine mahogany body and a figured curly maple veneer wrapped in a Neptune Blueburst finish. Its unique appearance is enhanced by abalone and mother of pearl inlays on the fretboard and head veneer. Fifties inspiration and modern refinements come together in this elegant model. It features a carefully selected mahogany body that’s light enough without chambering. This ensures maximum comfort without sacrificing sustain. Additionally, the guitar boasts two Lollar Soapbar P90 pickups that are paired with a Throbak wiring harness. According to Heritage, these electronics produce a tone that “dreams are made of”. 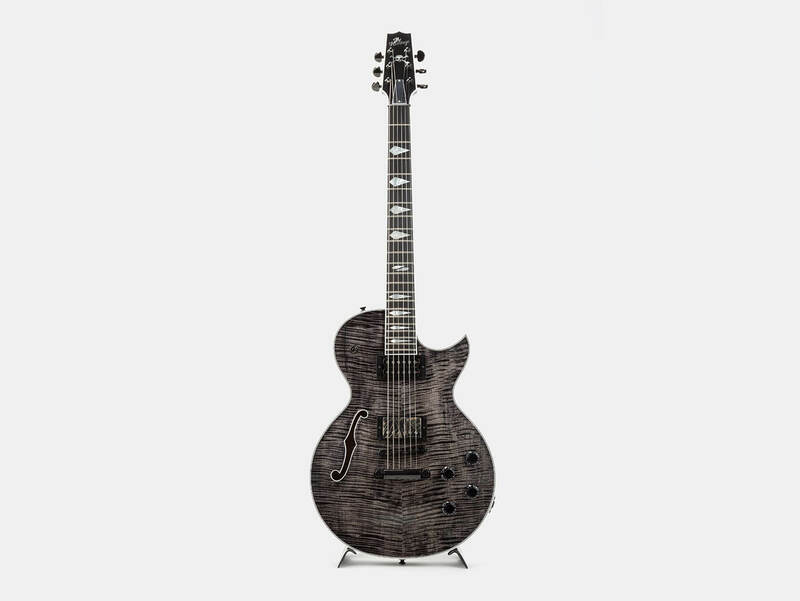 This semi-solid body model stands out with a curly maple top that’s decked out in a Washed Translucent Black. It also comes with a unique fretboard inlay that features a skull and crossbones paired with coffin-diamonds. Wrapping up the fearsome look are custom-voiced, scarred Motor City pickups. 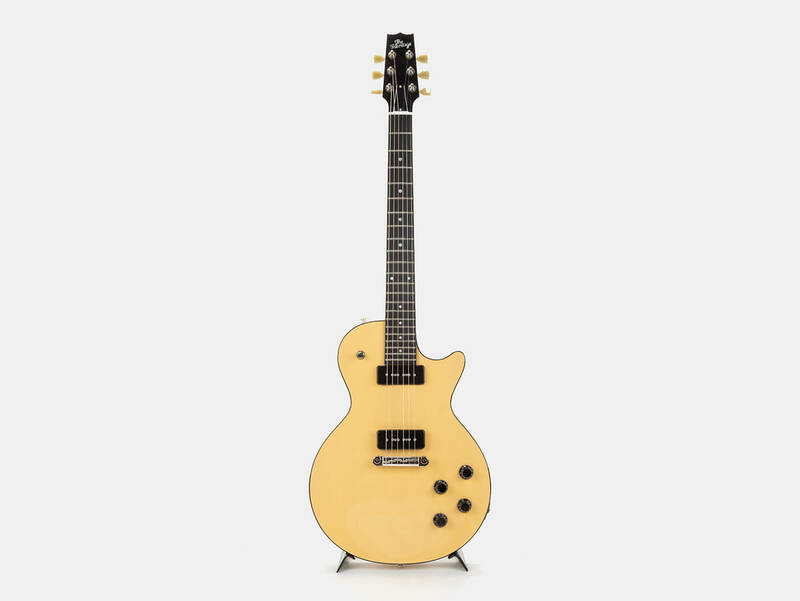 This guitar is pegged as the “perfect complement for the professional musician on the go”. 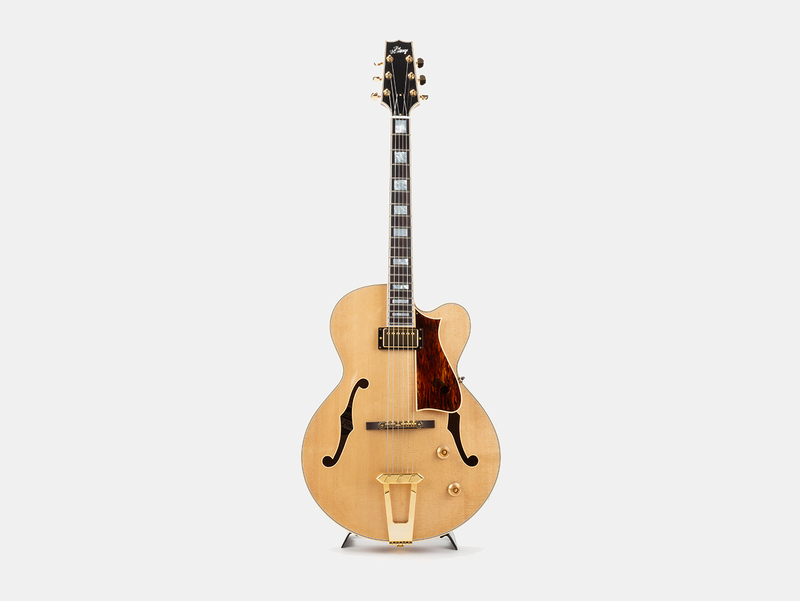 It features a traditional Kalamazoo archtop design and a modified body dimension that measures 16 inches wide and 2.75 inches thick. As for tonewoods, the instrument features a curly maple body and a natural Sitka spruce top. The guitar also offers an arresting Burnt Amber finish and gold hardware.